Biofuels are produced by converting organic matter into fuel for powering our society. 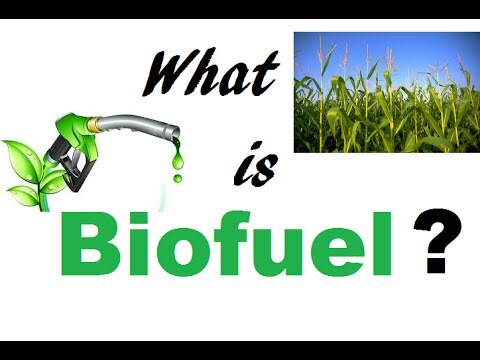 This biofuel energy is a great alternative energy source to the fossil fuels that we currently depend upon. Ethanol and derivatives of plants such as sugar cane, as well as vegetable and corn oils. However, not all ethanol products are designed to be used as a kind of gasoline. The International Energy Agency (IEA) tells us that ethanol could comprise up to 10 percent of the world’s usable gasoline by 2025, and up to 30 percent by 2050. Today, the percentage figure is two percent. However, we have a long way to go to refine and make economic and practical these biofuels that we are researching. A study by Oregon State University proves this. We have yet to develop biofuels energy that is as energy efficient as gasoline made from petroleum. Energy efficiency is the measure of how much usable energy for our needed purposes is derived from a certain amount of input energy. (Nothing that mankind has ever used has derived more energy from output than from what the needed input was. What has always been important is the conversion—the end-product energy is what is useful for our needs, while the input energy is just the effort it takes to produce the end-product.) The OSU study found corn-derived ethanol to be only 20% energy efficient (gasoline made from petroleum is 75% energy efficient). Biodiesel fuel was recorded at 69% energy efficiency. However, the study did turn up one positive: cellulose-derived ethanol was charted at 85% efficiency, which is even higher than that of the fantastically efficient nuclear energy. Recently, oil futures have been down on the New York Stock Exchange, as analysts from several different countries are predicting a surge in biofuel availability which would offset the value of oil, dropping crude oil prices on the international market to $40 per barrel or thereabouts. The Chicago Stock Exchange has a grain futures market which is starting to “steal” investment activity away from the oil futures in NY, as investors are definitely expecting better profitability to start coming from bio fuel companies. Indeed, it is predicted by a consensus of analysts that biofuels shall be supplying seven percent of the entire world’s transportation fuels by the year 2030. One certain energy markets analyst has said, growth in demand for diesel and gasoline may slow down dramatically, if the government subsidizes firms distributing bio fuels and further pushes to promote the use of eco-friendly fuel. Maybe algae is a much better candidate to serve as feedstock for biofuels because of its high energy content and yield, fast growth and ability. The US Department of Energy is currently investing $18 million on six algae biofuel research projects. The United States, while being the world’s greatest oil-guzzler, is already the second largest producer of bio fuels behind Brazil. The European Union’s biodiesel production capacity is now in excess of four million (British) tonnes. 80 percent of the EU’s biodiesel fuels are derived from rapeseed oil; soybean oil and a marginal quantity of palm oil comprise the other 20 percent. Next article on Wind Energy Facts and Wind Turbines. Disclosure: We earn commissions from some of the products we review or mention on this site. geothermal energy, air exchanger and more Alternative Energy Sources.